April 23, 2018 By Tina M 4 Comments This post may contain affiliate links. Read my disclosure policy here. Today is a big day. This might be my favorite quiet book theme to date! I LOVE this cars quiet book so much! 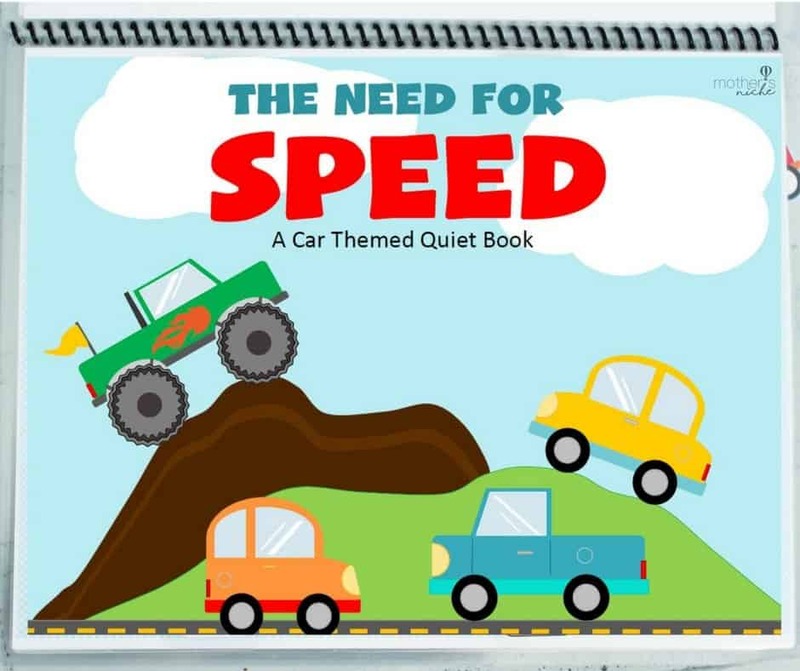 I guess it’s more a “vehicles” quiet book, or “things that go” themed quiet book, since not all of the pages are cars. If you are new to our quiet books, you can see them all here. They are perfect for the diaper bag for all those moments when you are waiting at the doctor’s, at church, or any other time you need to distract your toddler/young kid. I love to swap out the different themes so they never get old. If this is your first time putting together a printable quiet book, see the assembly instructions at the end of this post. This gas station page is one of my favorites of all the pages. My 2-year old is learning his colors right now, so this is a perfect page for him! 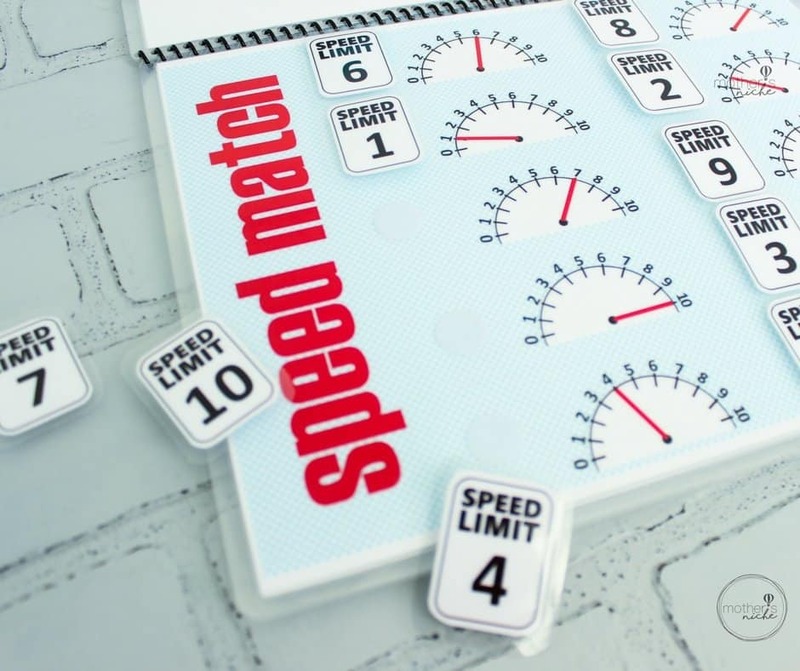 I also really love the speed limit page. 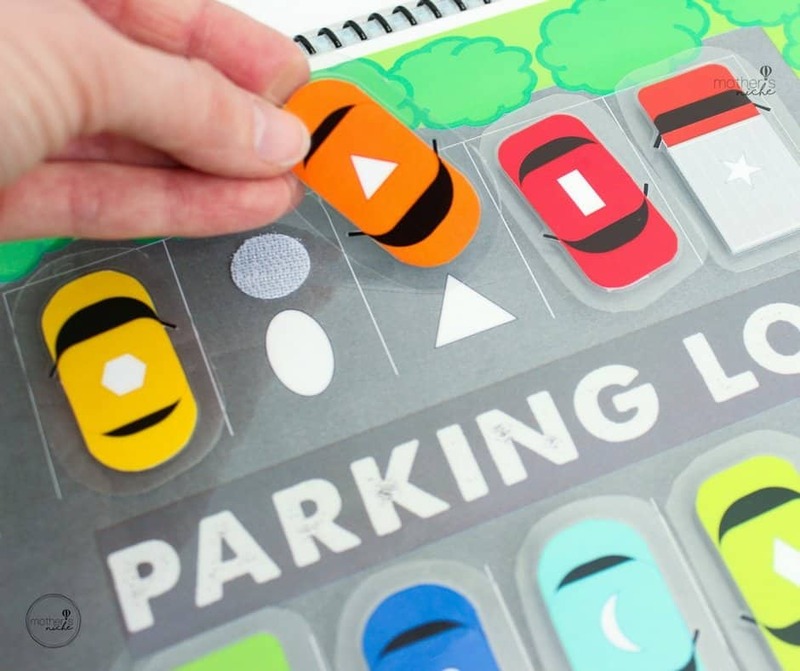 PERFECT for learning numbers and number recognition, and just plain adorable. We also like to include some kind of “Free play” page in our quiet books, which is just for having fun and using your imagination. 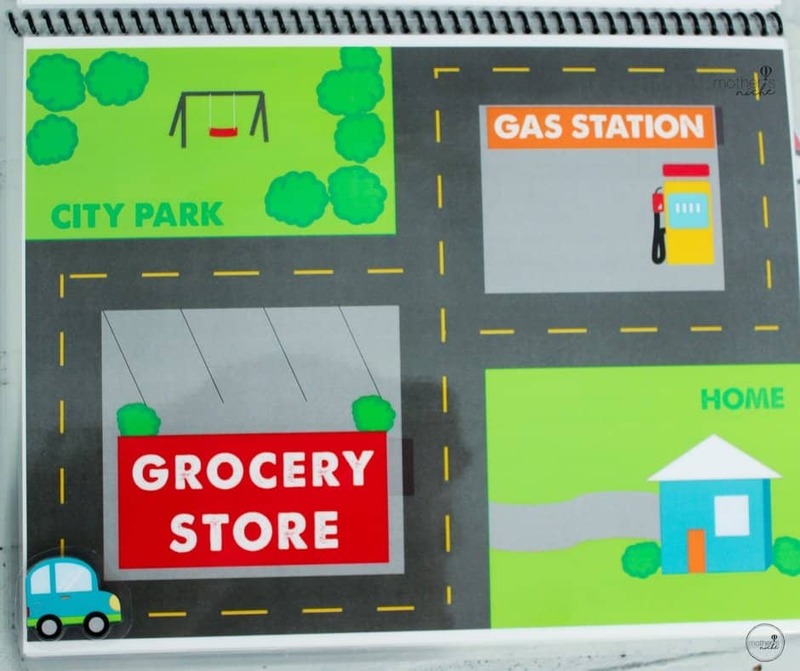 For the cars quiet book, it only made sense to do a “car mat” style page, just for driving the car around town! Cut and laminate your pieces. Take your book to a local copy shop and have it spiral bound for a few bucks. Attach the Quiet Book Pieces to the book using Velcro Dots. 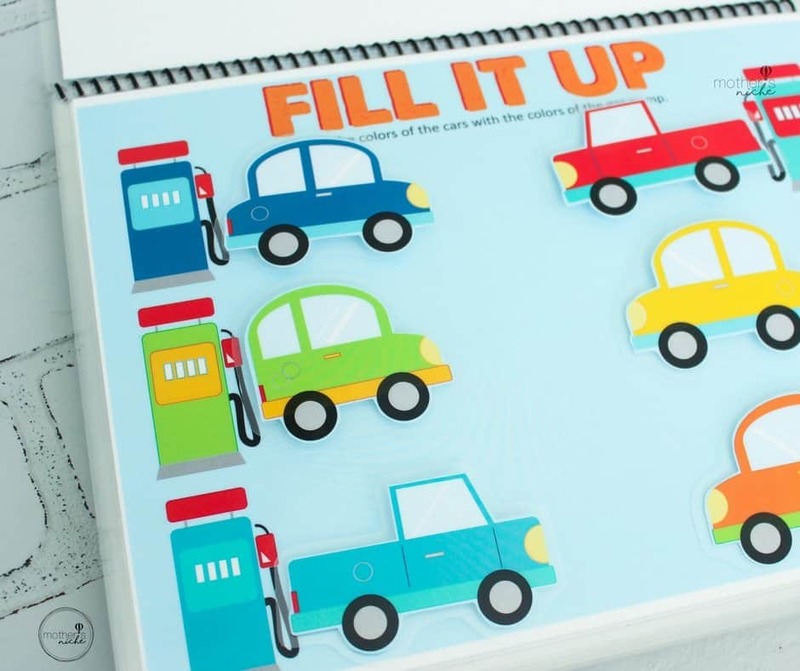 ***A note on Lamination: You can also have your pages laminated at a copy shop, but I have found it much cheaper to just own a laminator and do it at home. I got mine for around $25 and it has done SO MANY projects for me. Laminators are so affordable these days (see some good prices here) that it really pays off to have your own, especially if you are going to do more than one quiet book. I laminate mine with either 3 MIL or 5 MIL laminating pouches. What a great quiet book! So fun for both boys and girls. LOVE it! Have bought the package but so excited to try the first one Farm . A surprise for my grand daughters first big plane trip. I have a couple of your books and they’re great! Would you recommend laminating the pieces pages first then cutting, or cutting them out individually and then laminate and cut again?